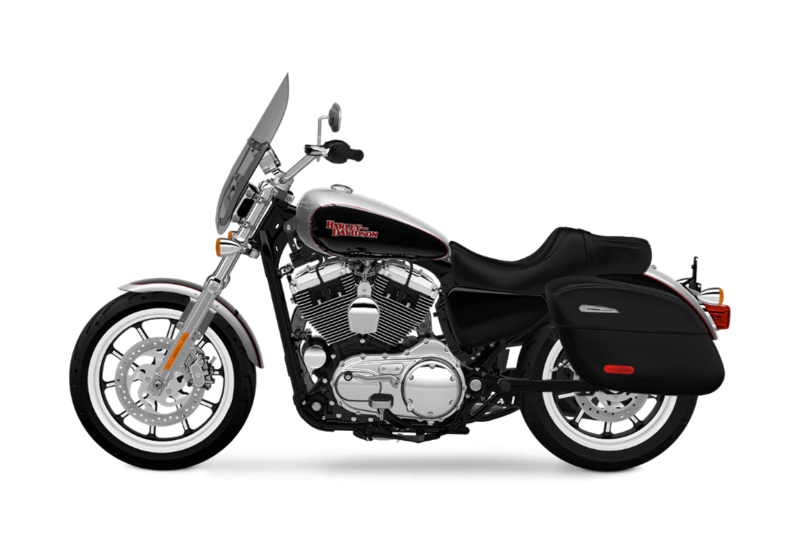 The Harley-Davidson® Superlow® 1200T is perfect whether you’re headed to the corner store or all the way across the country. This lightweight bike is perfect for riders in the Los Angeles and Inland Empire, CA area, and it promises sharp handling and fun-to-ride performance wherever the road takes you. The SuperLow® is part of the Harley-Davidson® Sportster lineup, and it’s a favorite here at Riverside Harley-Davidson®. Come check it out today! The SuperLow® comes standard with the iconic Evolution® V-Twin engine. With a massive 1200cc displacement, this power plant produces all the muscle you could ever want on two wheels. 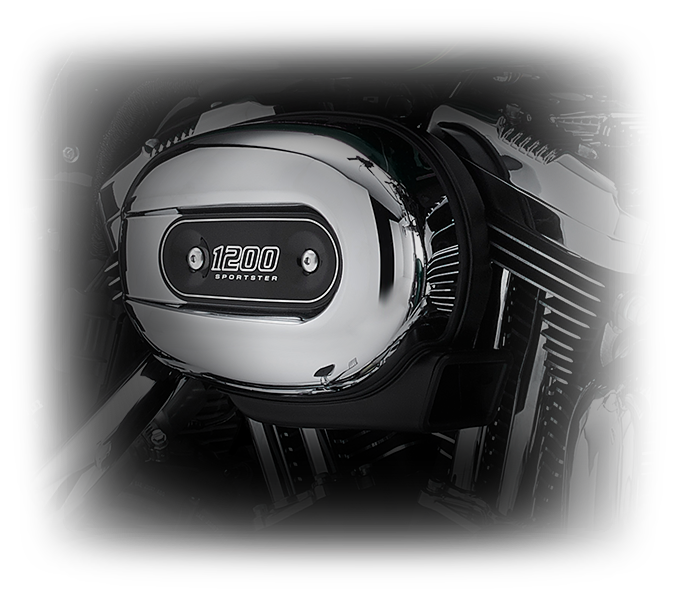 Pure Harley-Davidson® Styling: The 1,200cc Evolution® engine looks great thanks to chrome rocker covers, chrome pushrods, wrinkle black cylinders, and unique 1200 badging. 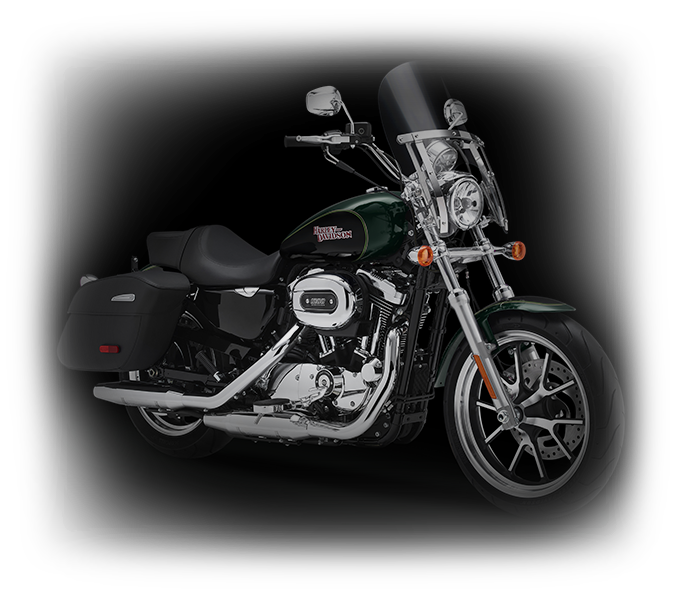 Innovation: The Revolution® Engine is an innovative take on the classic V-Twin powertrain, with electronic fuel injection and lightweight alloy pistons in order to boost fuel economy, performance, and durability. It’s the kind of engine you’ll depend on for years to come. Heritage: The Evolution® is descended from legendary engines like the Flathead, Shovelhead, and Panhead, and it keeps the tradition going with the Blockhead nickname. 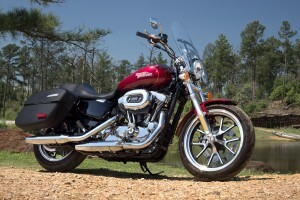 It features the same fabled reliability, toughness, and instantly recognizable Harley-Davidson® exhaust note you love. 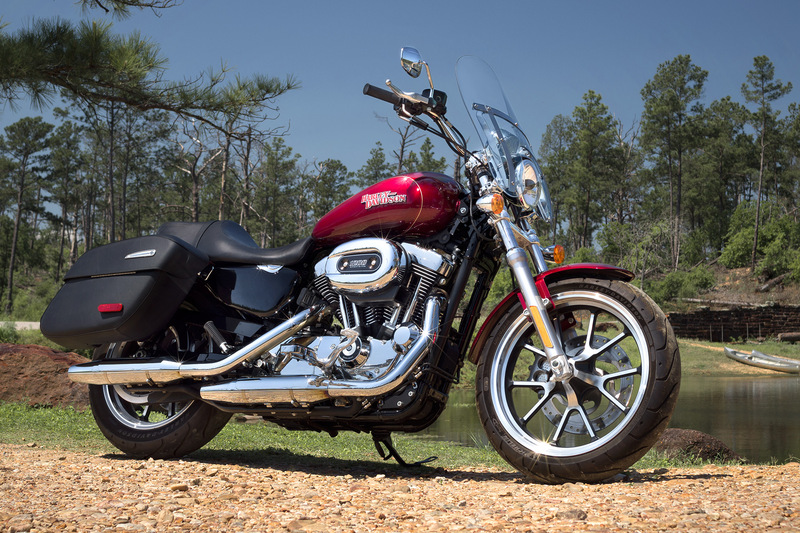 While the SuperLow® 1200T is classically styled, it’s not out of date. It comes with some of the latest high tech features. 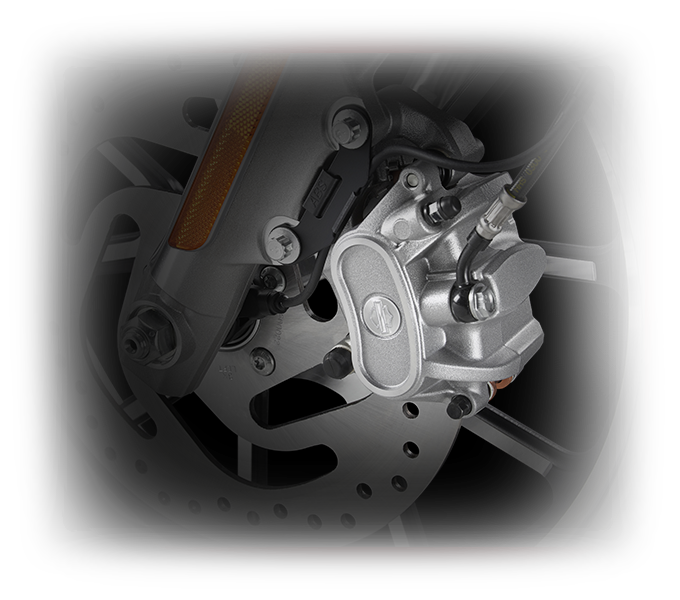 Antilock Brakes: Available as an option, the antilock brake system eliminates wheel lockup and improves safety by delivering superior stopping performance. 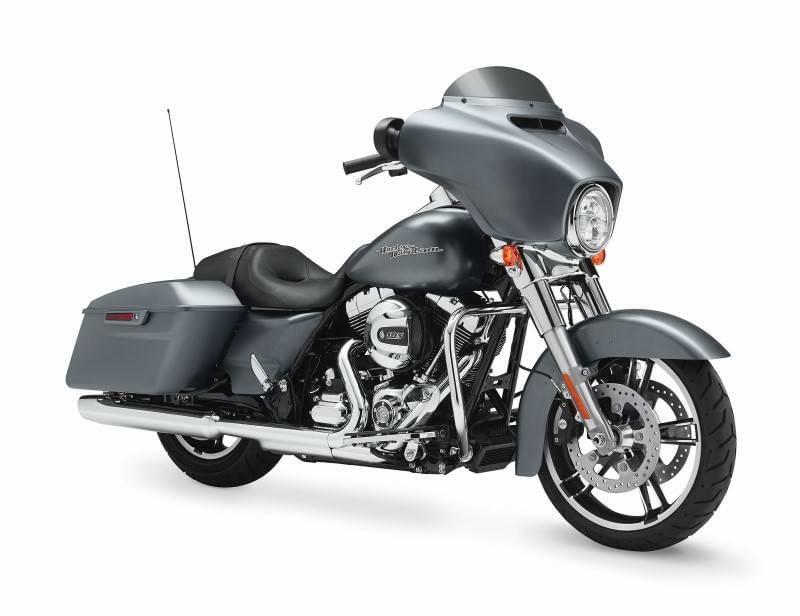 Foundation Brake System: With bigger brake rotors, bigger pistons, upgraded calipers, steel braided brake lines, and even an upgraded master cylinder, the brakes on the SuperLow® are more powerful than ever and require less force to activate. Ergonomic Hand Controls: The SuperLow® is equipped with ergonomic hand controls that are designed to be comfortable day-in and day-out. 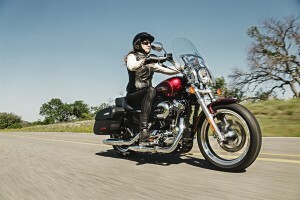 This allows you to log more miles in comfort and control. Integrated Electrical System: The SuperLow® 1200T gets a body controller with updated routing and fewer switches, relays, fuses, and wiring harnesses. Simpler is always better because there’s less to worry about. 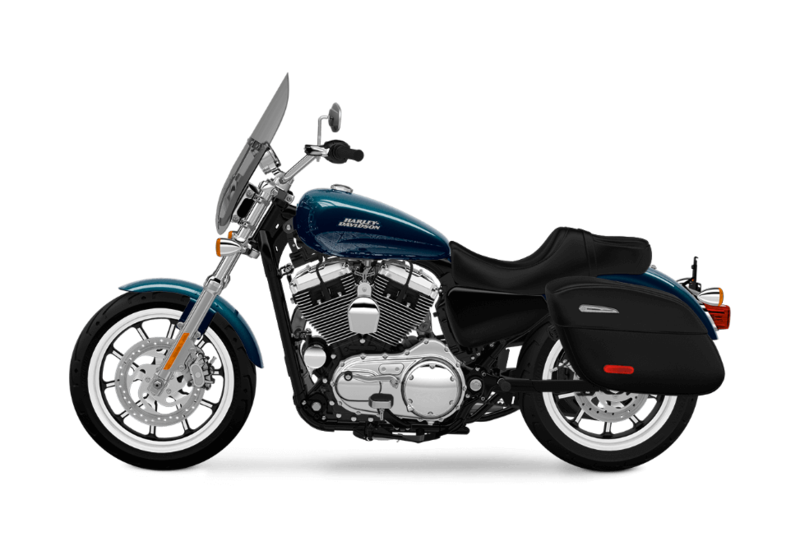 Closed Loop Exhaust: You don’t have to sacrifice the throaty rumble of the big V-Twin to cut down on emissions, thanks to this smart closed loop exhaust system that’s now standard on the SuperLow® 1200T. Console Speedo, Tach, and Gear Readouts: Sitting right where you want them on top of the console, you’ll find the speedometer, tachometer, gear indicator readout, and trip computer. The SuperLow® 1200T is carefully set up to give you the confidence you want when riding at any speed. 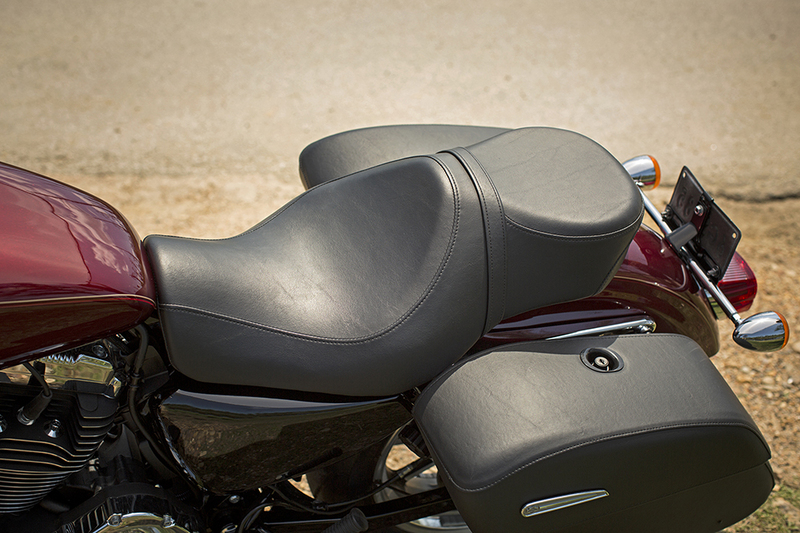 Seat Height: At 25.5 inches off the ground, the seat of the SuperLow® is right where you want it. 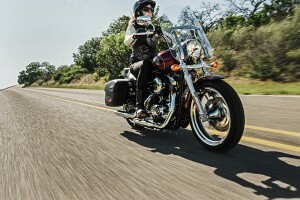 A low seat height means a low center of gravity for superior handling. Final Drive Ratio: The final drive ratio of the SuperLow® provides smooth handling and quick acceleration at both low and high speeds. 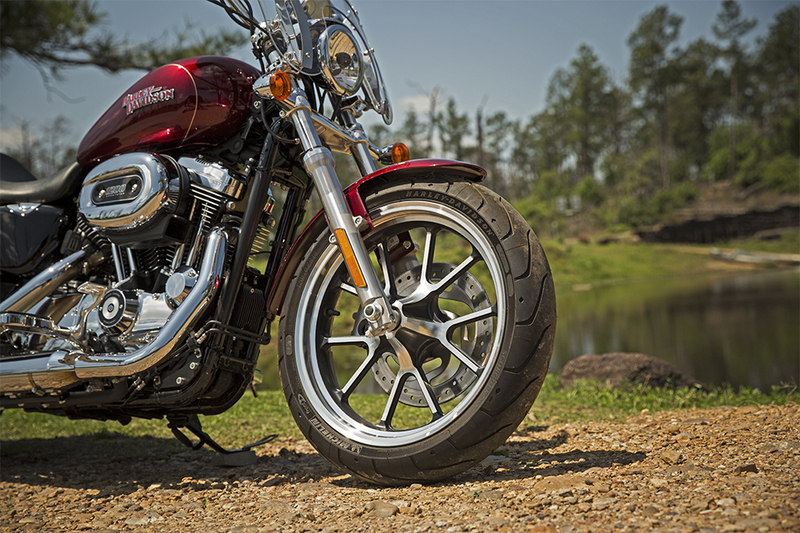 Michelin Scorcher™ Tires: The Scorcher™ tires are performance bred to deliver impressive traction, remarkable cornering, and the kind of durability you want on your motorcycle. 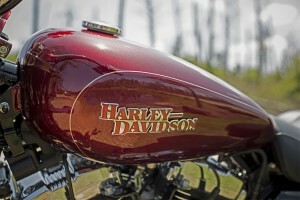 Adjustable Rear Shocks: Using only a wrench, it’s easy and quick to adjust the rear suspension so you can enjoy a ride that’s unique to you. The SuperLow® 1200T is a modern day classic loaded with authentic Harley-Davidson® styling cues. 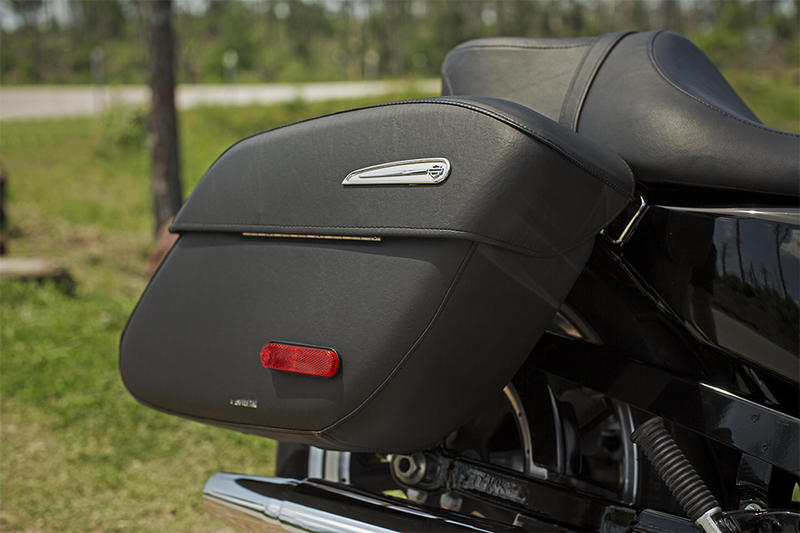 Teardrop Fuel Tank: The 4.5 gallon teardrop fuel tank on the SuperLow® is unmistakable. It’s a Harley-Davidson® icon, and it’s a great way to show off your premium paint and badging. 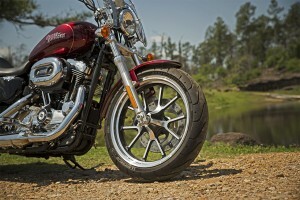 Quick Release Windshield: Enjoy the wind in your hair? Strip that windscreen off. 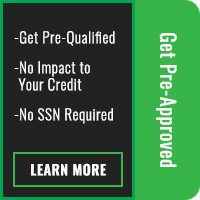 Want a little more protection for a long ride on the freeway? Slap it back on. It’s that simple. 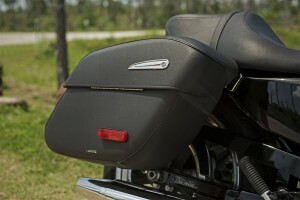 Lockable Saddlebags: The SuperLow® 1200T offers locking hardshell saddlebags to protect your gear when you’re out for a long weekend, and it’s easy to add on a luggage rack or a sissy bar for more capacity. Split Five Spoke Wheels: It’s hard to ignore these classic split five-spoke wheels with their brilliant machined faces and gloss black painted accents. 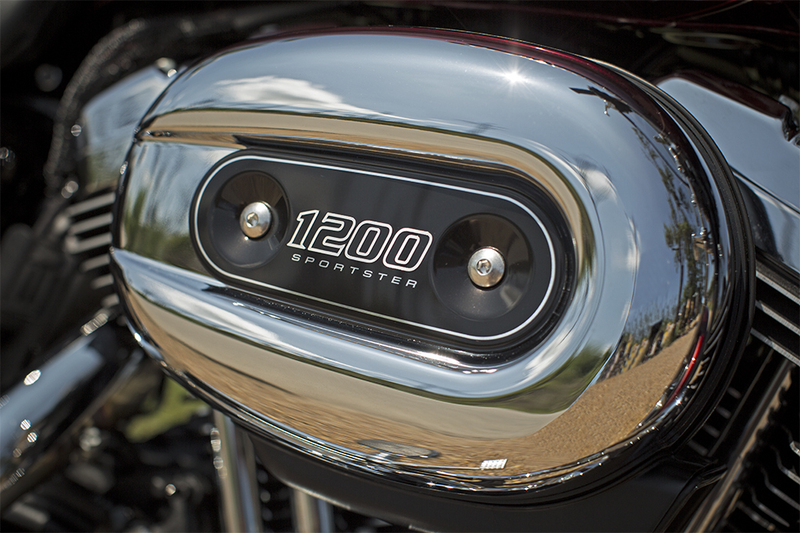 Custom Finish: The SuperLow® 1200T gets a unique finish with premium paint, chrome air cleaner cover, chrome headlamp visor, chrome rear turn signal bar, new black console and chrome timer cover. Of course, you need to feel good riding the bike, not just looking at it. 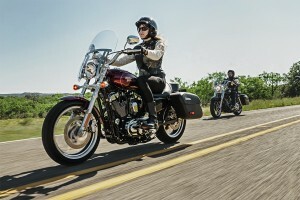 Luckily, the SuperLow® 1200T delivers comfort and confidence. 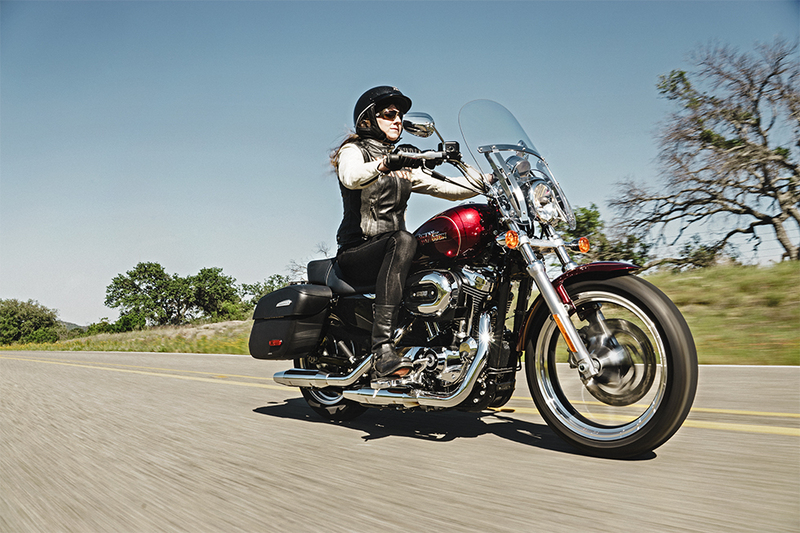 Mid-Mount Controls: The SuperLow® 1200T puts the foot controls in the right place. While they’re not too far away, they’re far enough to stretch out and relax. 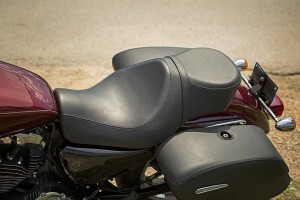 Comfortable Cockpit: Low seat, long travel suspension, and an easy to reach swept back handlebar put you in a confident, upright stance that’s perfect for riding all day long. Mini Rider Floorboards: For the passenger, there’s a set of convenient mini floorboards that add comfort and confidence to make longer rides better for everyone on the bike.